Wasps finished the league stage with 71 points which is eight more than Newcastle Falcons, who finished fourth. Tane Takulua got the proceedings with a fifth minute penalty but Wasps hit back when Tom Cruse touched down in the 18th minute and Danny Cipriani improving it. Wasps had the momentum going into the break with Elliot Daly dotting down in the 34th minute and Cipriani followed it with another try in the 40th minute as Dai Young's side ended the first half with a 3-19 lead. The visitors upped the ante further in the second half with Josh Bassett (43') and Jimmy Gopperth (48') dotting down as their lead swelled to 3-31 before Newcastle Falcons pulled back things a bit with Josh Matavesi (64'), Zach Kibirige (69') and Evan Olmstead (73') scoring tries with the last coming after Wasps' Thomas Young was sin-binned as the gap came down to nine points. 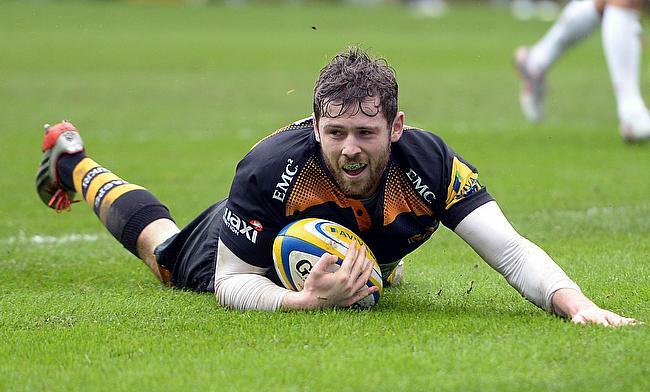 However, fullback Willie le Roux ensured with Wasps' sixth try completed a 22-39 victory. "We aren't going to win at Saracens with a 60-minute performance like that. We will have to be at our best at Allianz Park," said Wasps director of rugby Dai Young. "We played really well for those 60 minutes, we were very good but then we were fairly loose and we have lost a lot of games late on. It is our Achilles heel. "I believe we can play for 80 minutes like we did for those 60 minutes and we will have to do that against Saracens. "We were pretty casual in those last 20 minutes. We have to stop just chucking the ball over our shoulders."